Ideal for cleaning automatic transmissions that dislike dust. Because it is the quality that can be used in the clean room, it can be used safely. This review is about item#9573243. I feel that there is not much difference between similar products and the feeling of use. I am satisfied with being able to obtain cheaply. There is no Keba Standing and easy to use. Even better if it is a little bigger. We mainly use those from different manufacturers, but because the price is cheap, we use it according to the purpose. I always used wipe all of other companies but this time I tried purchasing the monotaro brand. And it is the impression of trying using the other day. First of all it is smaller than the one I thought and it is thin. I degrease a big area at work. I think that it can be used enough for accessories and small areas so I would like to lead to cost savings separately from other companies' products. My recognition was incorrect due to misidentification. Other than that it is handy for wiping and polishing. I immerse the disinfectant and wipe the equipment. There is moderate strength and the size is also good so disinfectants can be saved accordingly, so the reputation is good from the staff. The price is also reasonable and it is very active in cleaning every day. This review is about item#18925314. It is hard to cut out and it is strong, so I am using it to take off the dirt sticking to the lower part of the engine. I thought it would be better if there was more absorption capacity. This review is about item#09573243. When wiping off a large amount of engine oil, I felt that absorption was a little more insufficient. Until now, we used what the coating maker is dealing with, but we had to use it thinking because the cost is high and the number of used sheets is limited because of the number of sheets. 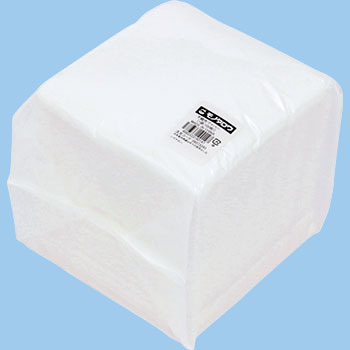 The number of sheets is satisfactory when using this item. However, because rubbing in a wet condition leads to durability, COSPA is ◎ and the feeling of use depends on the use of the application, but it is also a product that becomes ○ and △. We are satisfied because we had priority to COSPA. Moderately soft and with wiping power. I would like you to make a case with Osaka soul. The unit price is also cheap and there is affordability. I would like to improve by only one point. Would you like to apply a perforation to the outer bag like a pocket tissue? Then I think that it will be easy to open. It is easy to use with less fuzzing. I am thankful that there is a storage case or it is boxed. Clearly the cloth became softer and fuzzed than when I was purchasing it before. It became difficult to use because fluffing remained in the product. Rubbing may cause a little fiber to come off. For finishing, I use luxury goods. However, since there is a sense of security over paper, it is suitable for normal use. It is used to finish the cell of the golf club. I felt softer than the one I purchased the last time, I thought that it became easy to use, fine fuzzing was bad, and it stuck with the polo polo work. It can not be used for finishing. I will purchase other products. I thought it was good and bought a lot. It was a great failure. We hope to unify quality. For ordinary use, it's almost lint-free, so it's user-friendly. It is a type to remove from a bag, so it is difficult to keep it so that dust does not enter. I am glad that there is a good container. Saying it is size and comfortable to use, it is very good. I was amazed to see that the adsorption of dust was about the same level as or more than that of a commercially available chemical cloth.